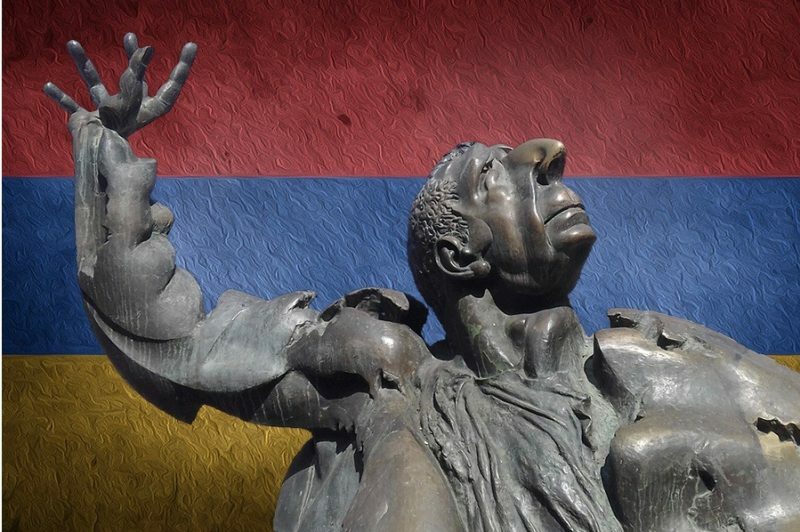 A statue of the Soviet-era composer Arno Babajanyan, known for his archetypally Armenian nose, against the background of the Armenian flag. Photo: Iris Molenaar for Eurasianet. The following is a partner post  from EurasiaNet.org  written by Iris Molenaar . Republished with permission. And some Armenian women are bucking the trend: one pop singer, Silva Hakobyan, has shot down  tabloid rumors that she plans to reduce her quintessentially Armenian nose, and says she is proud of her natural features.